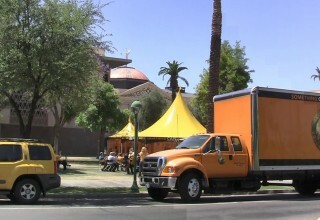 Volunteer Ministers traveling Cavalcade holds a grand opening and ribbon-cutting ceremony on the Arizona State Capitol lawn in Downtown Phoenix. 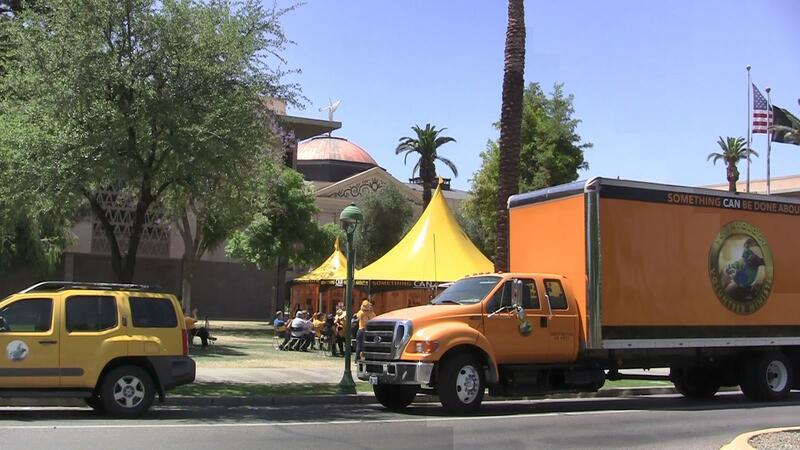 The Cavalcade brings indiscriminate help to people in communities throughout the Western United States. 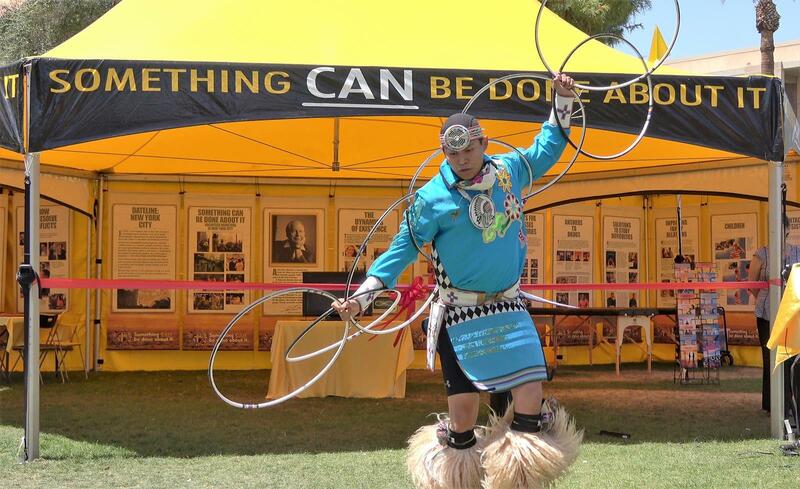 PHOENIX, May 20, 2018	(Newswire.com) - On a classic spring afternoon in Phoenix, Arizona, the Yellowhouse Native American dance group welcomed the Scientology Volunteer Ministers Western United States Cavalcade to the city with a traditional hoop dance. 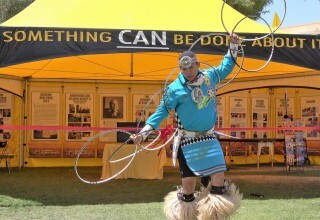 Hoop dances were originally used in private healing rituals, a spiritual practice aimed at restoring balance and harmony to the world. 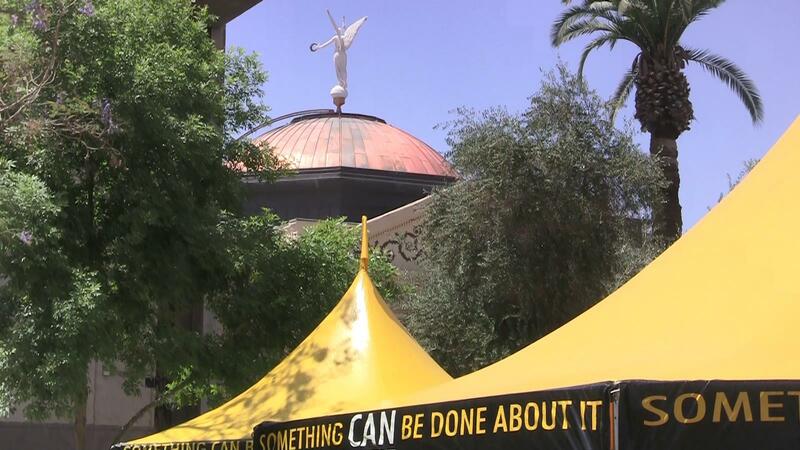 Just so, the Scientology Volunteer Ministers bring their help to better conditions. 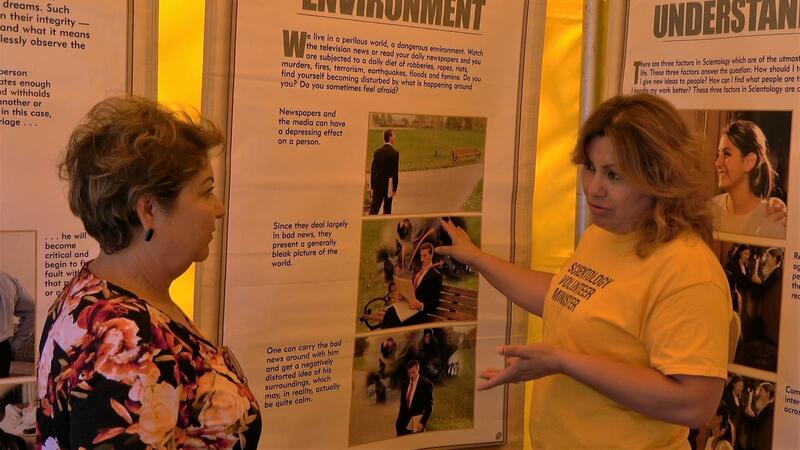 They bring relief with Scientology assists, techniques developed by Scientology Founder L. Ron Hubbard that address the emotional and spiritual factors in stress and trauma. They also help people work out their own solutions to the many complex problems that arise in the course of living. 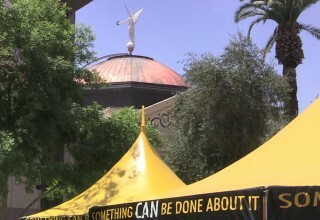 After the ribbon-cutting, guests were invited to enter the bright yellow Volunteer Minister tent for a Scientology assist or to tour the displays describing the 19 Scientology “Tools for Life.” Corresponding courses provide simple and practical technology through which anyone of any faith may learn to resolve difficulties and help others. The free online courses on the Volunteer Ministers website cover everything from relationship problems and job stress to the basics of organizing, raising children, how to help someone with a drug or alcohol problem, and resolving conflicts. 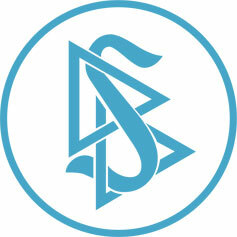 The Church of Scientology Volunteer Minister program is a religious social service created in the mid 1970s by L. Ron Hubbard. Anyone of any culture or creed may train as a Volunteer Minister and use these tools to help their families and communities.